If only their science was as sound as their media are vibrant. 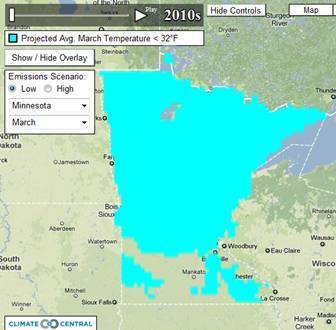 The images below show their area of Minnesota with average March temperature below freezing for 2010s and 2090s under a “low emissions” scenario. 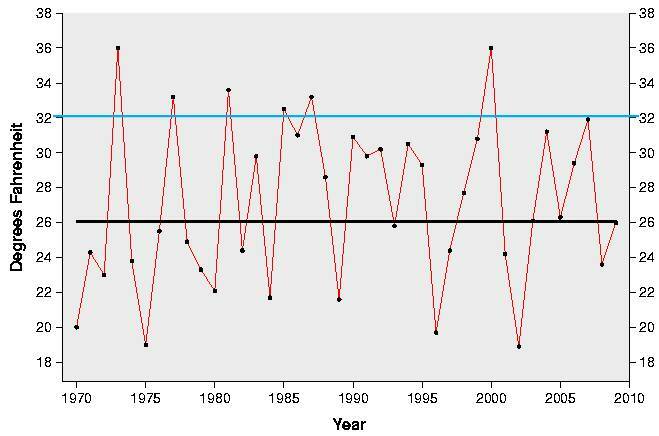 The following figure shows average March temperature for Minnesota from 1970 to 2009 (from http://www.ncdc.noaa.gov/oa/climate/research/cag3/state.html) The blue line is 32 F – freezing. 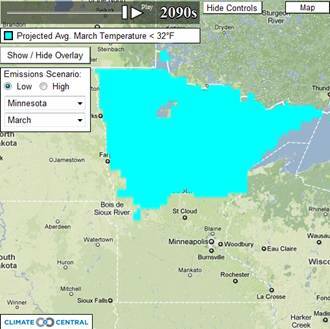 Minnesota has had only one March above freezing since the mid 1980s and a declining trend since the mid-1970s. Alarmists don’t let data get in the way of their “projections”. Unsound science but vibrant media.